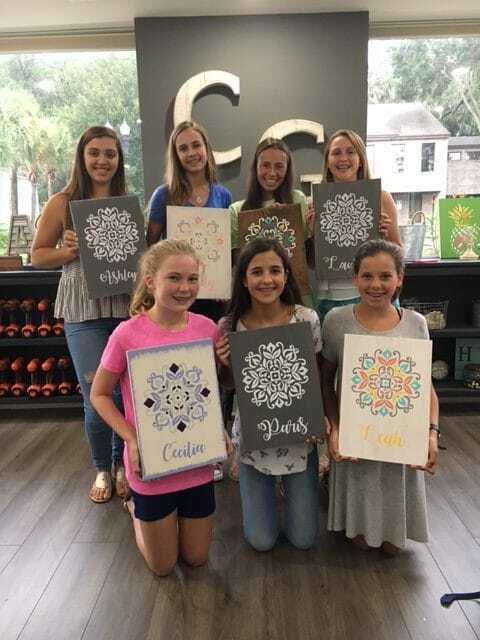 The very nature of crafting with the comfort of our creative studio make Creative Grain the perfect place to share some wonderful memories with your close friends and family. Hosting a private event at Creative Grain is sure to be a memorable occasion. Choose from a variety of options or brainstorm with a designer for something unique! 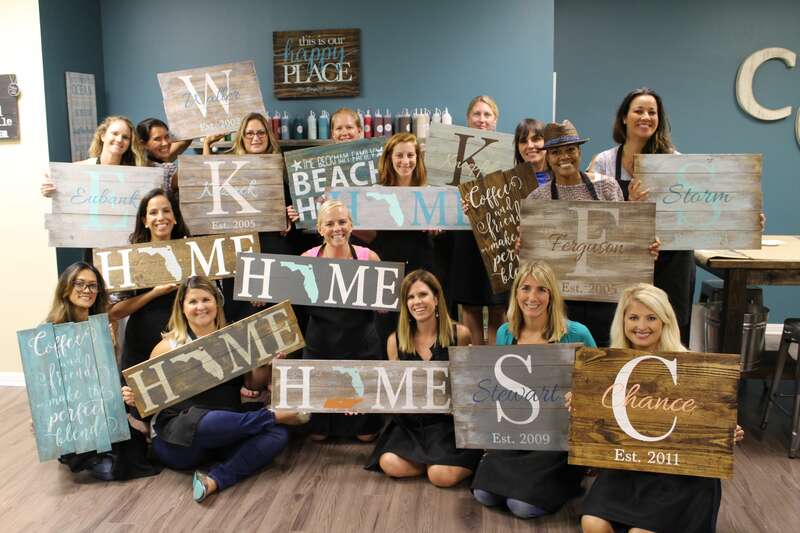 Large Sign Workshop – $60 plus tax – per guest. – 3 hours of Studio time. 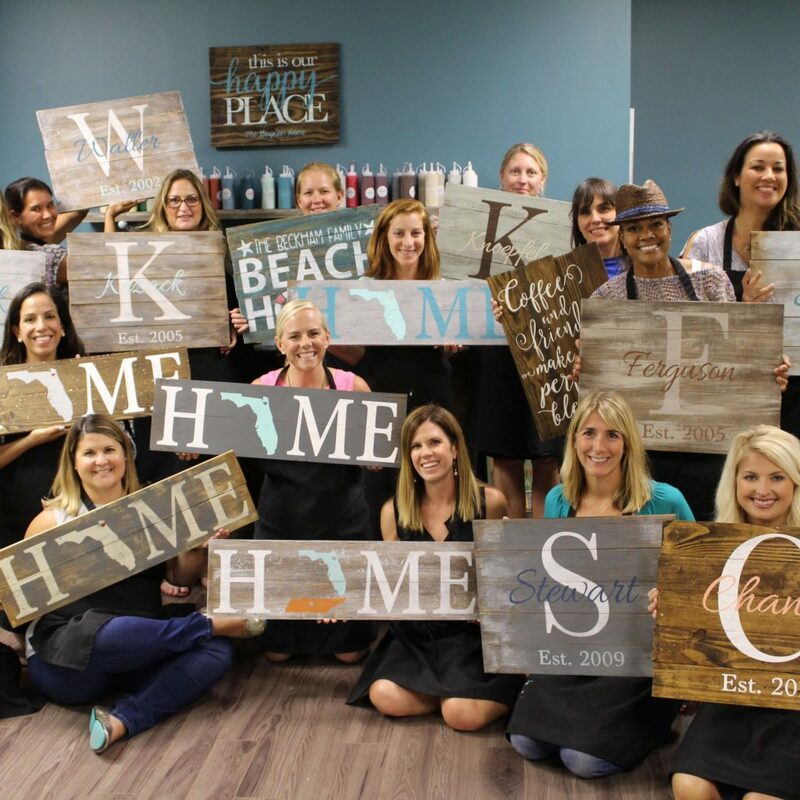 – Our 14×24, 17×24, 11×32, 16×16 planked signs to assemble. 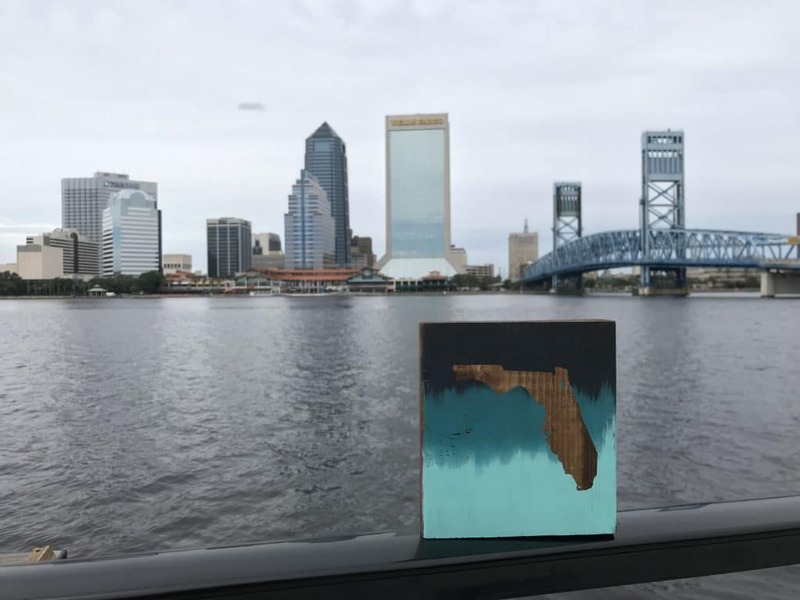 – Guests choose any design from our Single Plank Gallery. – Our 6×32 and 12×16 single board signs – no assembly. – 2 hours of Studio time. A $75.00 deposit is due at booking. Private Workshops should be booked no later than 2 weeks out, but we are flexible! ​We require your guests to register 48 hours in advance and 72 for custom and special projects to ensure all materials are ready for them at the start of the workshop. Hostesses are permitted to enter the studio 20 minutes early to set up snacks/drinks/decorations if they wish. Minimums are (15) for weekend evenings (Friday-Saturday) and (10) for weekday and weekend afternoons and weeknights. Workshops started after 2pm are considered evening. If the minimums are not met(absolute min of six to hold a workshop public or private) or your private event is cancelled within a two week window, your deposit is forfeited. ​If you must cancel your event – your guests will not be reimbursed; they may choose any other workshop to change their registration to. ​Please visit our FAQ page. 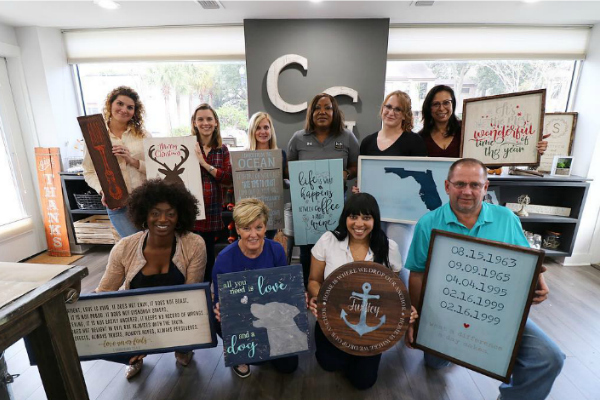 Thank you for your interest in hosting a private event with Creative Grain Studio! For workshops after 2pm Friday and Saturday – you must meet the minimum of 15. ​If you would like to add an additional 30 minutes to your workshop ($25 – 30 min) or if your guests are late requiring a late start and later end time, $50 will be deducted from your deposit. ​Workshops are based on a first come, first serve basis. Please read all available information on setting up an event before contacting us to reserve your date. Dates will not be saved by request, a deposit is required to save your date. ​Upon receipt of this information, a Paypal invoice will be emailed to you. You have 24 hours to complete the deposit and your workshop will be on the calendar within 24 hours. Kid’s Birthday Parties – Available weekend mornings and afternoons. ​Join us to celebrate your little ones special day! Let us help decorate and take care of the clean up too! Our fun instructors will guide your little crafters through the workshop with time for lunch and cake! For children turning 10 and younger – parties are $30 per child and sign options are 11×12 and 6×24. For teens – ​up to 17 – $35 and signs are 11×16 and 6×32. 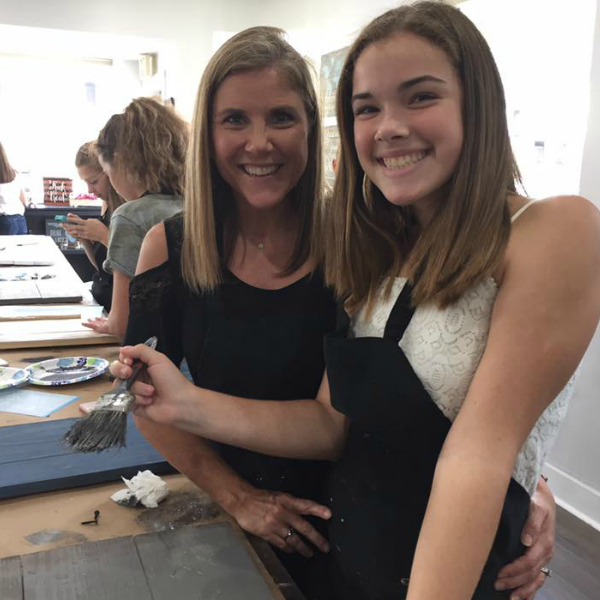 Our workshops provide the perfect opportunity for Fundraising Events, Teacher Appreciation, Mommy & Me, Teen Nights and more. Please contact us for more information regarding fundraising. 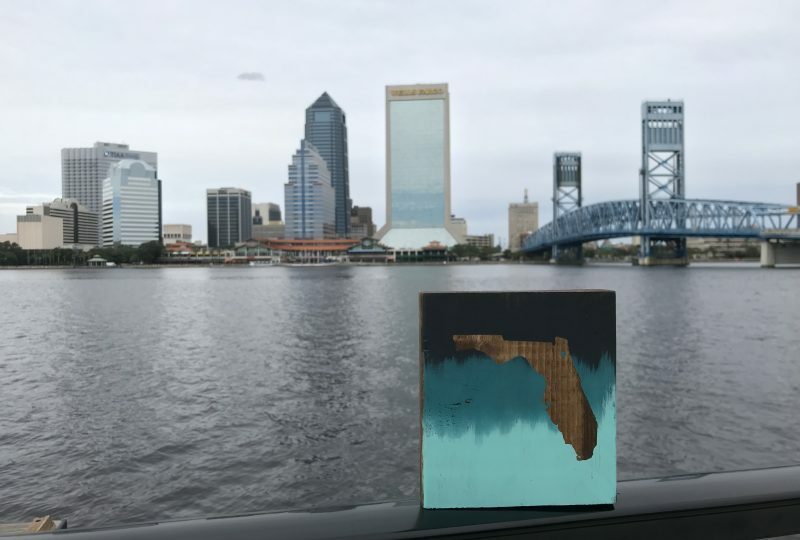 Join us for Open Studio Hours! Occasionally, we open the Studio for self-guided studio hours. The options vary by what we have on hand. 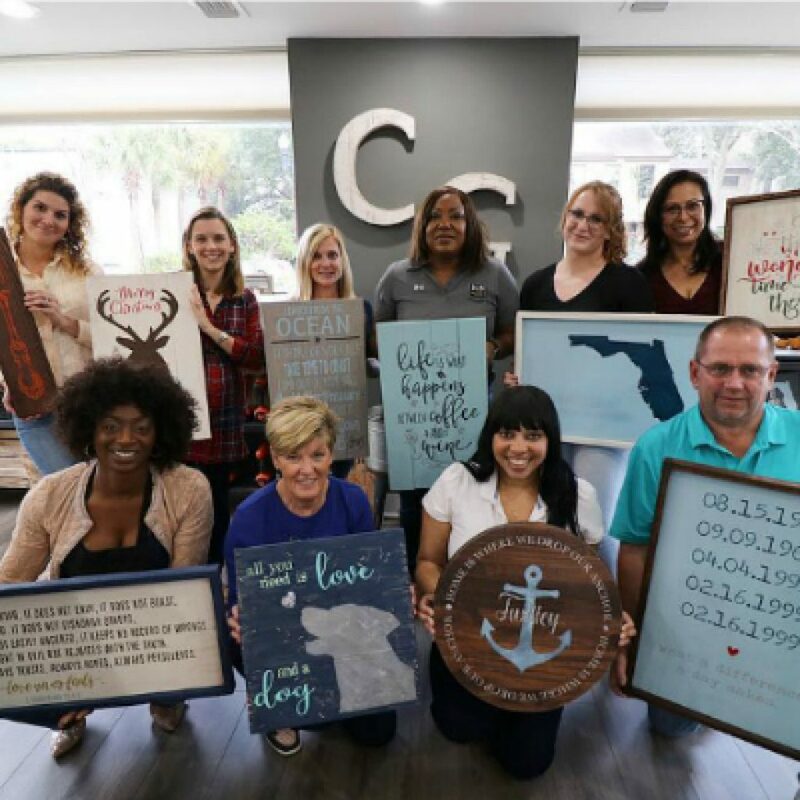 We look forward to a casual crafternoon with you! I organized a group to attend a fun studio session and everyone had a blast! The owner is very friendly and accommodating for group events! I highly recommend and hope to go to another class soon! We had a party of 11 of us and had the best time! They were very professional and we had a high quality product that we finished with! I cannot wait to come back and do it again. I highly recommend them ? We came for a mommy & me class and had a great time. The class was well organized, thoughtfully put together and very reasonably priced. We will definitely be back again!